MSC Cruises’ MSC Divina, scheduled for a May 26 christening in Marseille, France, will have two inflatable emergency slides or chutes. The marine evacuation systems, which complement lifeboats and life preservers, allow up to 1,514 passengers to be directly evacuated into waiting life rafts. The crew is instructed in the full use and handling of this system, from deployment to evacuation procedures. 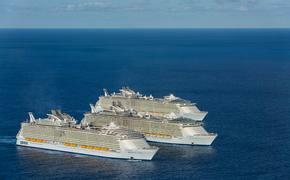 MSC Divina’s sister ships, MSC Fantasia and MSC Splendida, are also equipped with two marine evacuation systems each.